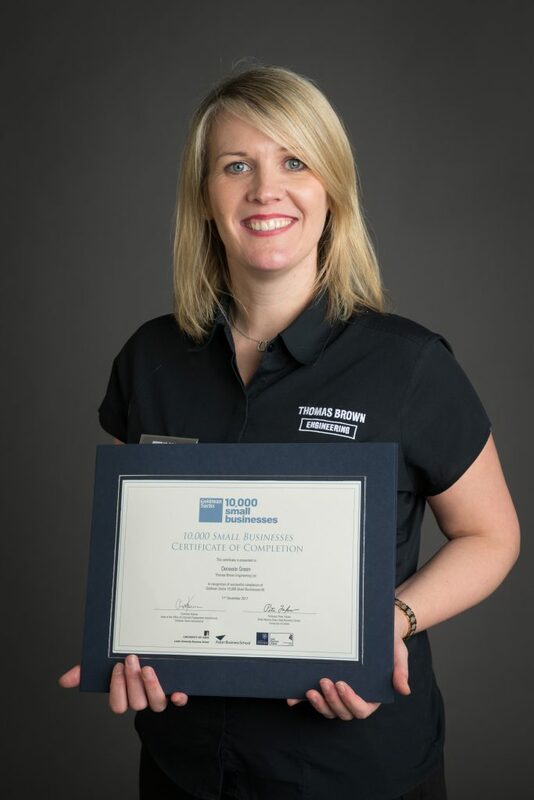 We are proud to say that Deneale has successfully completed the Goldman Sachs 10,000 small businesses programme. Here she is pictured at the graduation ceremony held in Oxford earlier this month. This UK wide, 12 week programme is funded by Goldman Sachs and the Goldman Sachs Foundation. It gives high quality, practical education and support to small businesses with aspirations for growth. The course is based around an intensive 12 week period which incorporates twice weekly online webinar sessions and weekly growth group tutorial sessions. It also includes three residential learning opportunities where the whole cohort of 70 businesses come together to learn from each other and create a network of business support for the future. The programme also allocated Deneale with a personal mentor who worked with the business on a one-to-one basis to help Deneale formulate a business plan going forward.